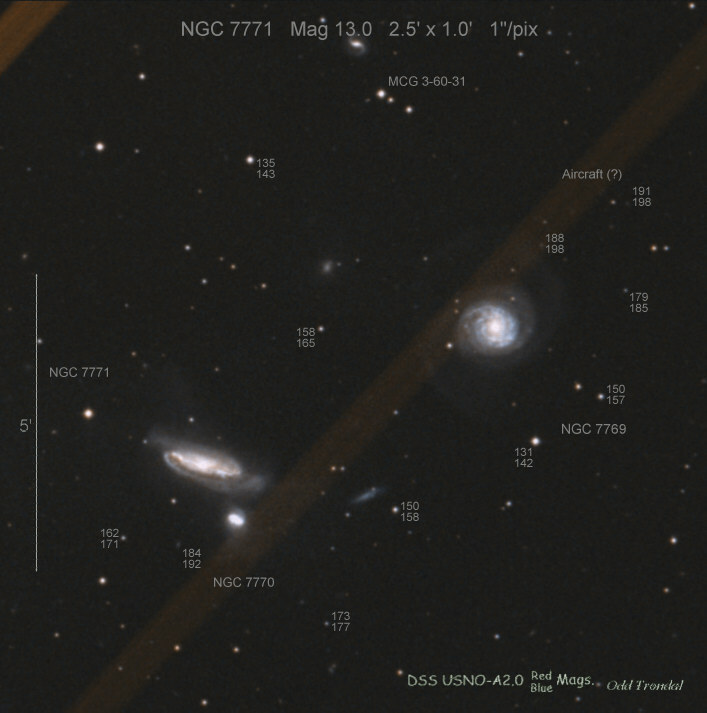 This page is devoted to information on Supernova 2003hg in NGC 7771 Basic information on this SN, including the last reported brightness, on this Supernova can be found on the main page. Information on the original web pages for many of these images can be found on the updates and links web pages. Yet another LOTOSS discovery. A type II event is a small cluster of galaxies. Note that it is fairly close to the nucleus. We have a DSS Photometry reference image made by Odd Trondal. Icon generated from the LOTOSS discovery image. This supernova is in the Constellation Pegasus.